"We moved to Frisco, Texas from Missouri this summer. Kelsey was invaluable in our move and in finding our new home. She came highly recommend and was incredibly helpful. Kelsey was professional and a pleasure to work with. She was very flexible which was necessary with our last minute visits from out of town; she worked around our schedule which was incredibly helpful. She gave us honest feedback and advice. Within a short period of time (a few weeks) we found a home that we love. We highly recommend Kelsey without reservation!" - S.H. "I don’t normally write reviews, but Kelsey was able to find the perfect place for my roommate and I! She showed us all kinds of places that met our needs but then helped us make the final decision, which we are thrilled with! Not only this, but she is such a joy to be around! Kelsey is very accommodating and you can tell how much she cares that you find the perfect place. When we decide to move again we will definitely use Kelsey!" - K.K. "Kelsey Brockman is a pleasure to work with! She is very personable and responds right away to any questions. Kelsey is very dedicated to her job and it showed when our house sold in less than two weeks from the date of listing it! We were anxious to sell and Kelsey made it happen. I will recommend her to anyone I know that is wanting to buy or sell." - A.Z. "Quick, professional, great deal. Kelsey found me one of the top deals I had heard of in the Dallas market. The options she provided were exactly in my threshold and ultimately one was the perfect ft. Kelsey is a realtor for life." - T.O. Born and raised in Columbia, Missouri, Kelsey is a graduate of the University of Missouri where she was a 4 year dance member of the “Golden Girls,” a prestigious and honored position at Mizzou. After dancing her way through school, Kelsey quickly relocated to Dallas to begin her real estate career. 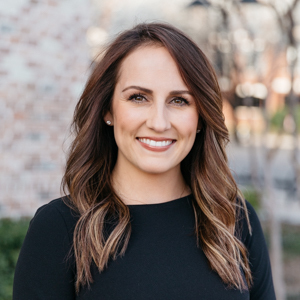 Following her first few years as a licensed agent, she joined Compass, a revolutionary high level Real Estate Brokerage expanding into Dallas. At Compass she works along side Tiffany and Brandon Hawkins as a valued member of their team, The Hawkins Group. As a buyer’s agent for Brandon and Tiffany, Kelsey is committed to providing excellent customer service while helping clients make educated and informed decisions when buying a home. Her main objectives are to help her clients achieve their goals and exceed their expectations. With her hometown charm and kind spirit, she’ll make sure they have fun along the way. In addition, Kelsey administer’s the team’s social media marketing and advertising and is instrumental in managing the team’s content-related assets. She has a passion for connecting with people. That passion comes through as she engages with them on a daily basis. The same dedication, commitment and hard work that led her to excel as a student and dancer in college has contributed to her rapid success as a Realtor. A crucial component of her success is her desire to learn and refine her skills. She often attends real estate and industry specific conferences. Kelsey enjoys serving others and is very involved in her community and Alma Mater. She’s an active member of the Junior League of Dallas, the Pi Beta Phi Alumnae chapter, and the University of Missouri Alumnae Association.